Typically, it’s more common for symptoms of low testosterone in males to manifest in men who have diabetes or are overweight. However, this condition can happen to any man. According to the Urology Care Foundation, approximately two out of every 100 men may experience testosterone deficiency (TD). At Urology Associates of South Bend, we work to address the root cause of testosterone deficiency. The best way to know for sure if you’re experiencing low testosterone is to seek information about the symptoms. If you are experiencing any signs of TD, it’s important to make an appointment with a urologist. If one of our specialists does diagnose you with this condition, do not worry; you’ll be in the best, safest, and most experienced hands. Testosterone hormones are essential to male sexual development and function. In addition to supporting facial hair growth, muscle strength, and voice changes, testosterone is vital to producing sperm. A urologist may test for low testosterone when a couple is having difficulty conceiving. Infertility issues, however, is only one possible indication that a man has low testosterone levels. 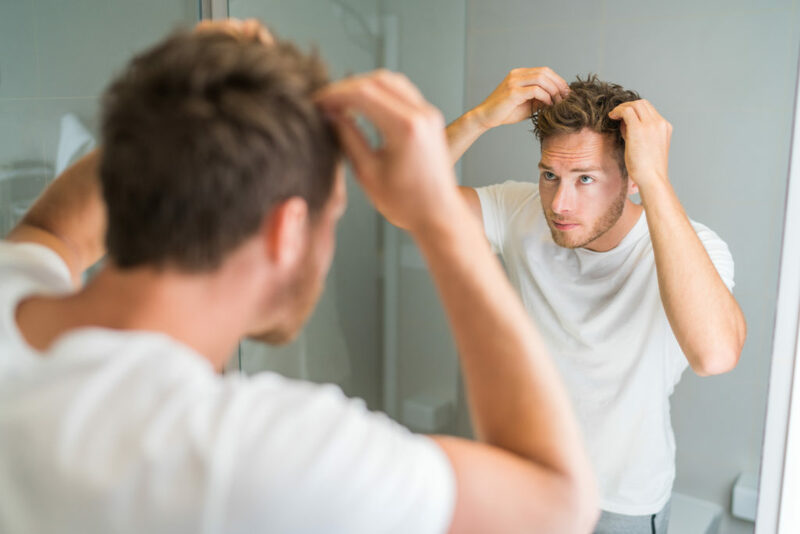 It’s important to recognize that, although these symptoms can be symptomatic of low testosterone deficiency syndrome, they may also signify other health conditions. The best way to know exactly what is causing these changes is to visit your urologist. How Does a Urologist Check Patients’ Testosterone Levels? Based on individual cases, a urologist may conduct an MRI, bone density test, and a karyotype (chromosome testing). Problems with blood pressure, cholesterol, etc. Gels, liquids, creams, and patches are available that adhere to the skin, much like an adhesive band-aid. Rather than prescribed in pill form, testosterone is administered orally via a patch that’s placed above the canine tooth. Your urologist may recommend short- or long-acting testosterone injections that are given weekly, bi-weekly, or monthly. Some forms of testosterone come as a gel that can be dosed into each nostril. Pellet testosterone is placed under the skin of the upper hip or buttocks by your urologist. The medication is then slowly released over the span of three to six months. While testosterone therapy is safe for many men, there may be certain patients with health conditions or who take medications that can increase negative health outcomes. Each individual case is different, which is why it’s important to consult with an expert. A professional urologist will be able to determine whether a patient is a suitable candidate for testosterone therapy. At Urology Associates of South Bend, we make your safety, comfort, and privacy our top priorities. No matter what diagnosis you receive, our skilled and experienced urologists will be there to help you every step of the way. If you’d like to know more about the symptoms of low testosterone in males or have been experiencing any of the previously mentioned issues, UASB is here to help. Schedule a consultation today or call us any time at (574) 234-4100.